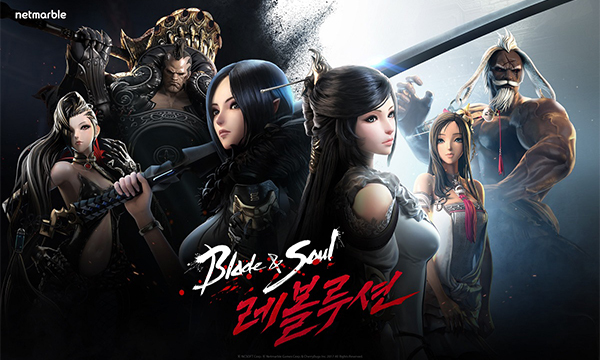 South Korea’s online game giant Netmarble Corp. has officially launched its latest massively multiplayer online role-playing game (MMORPG) ‘Blade & Soul Revolution’ on Thursday. Blade & Soul Revolution is a mobile MMORPG developed based on intellectual property of NCSoft Corp.`s popular online game for PCs ‘Blade & Soul.’ It is the second title of Netmarble’s Revolution series game. The company pins high hopes on Blade & Soul Revolution as the new mobile game tops the game ranking at Apple’s App Store and Google’s Play store from pre-downloads on Wednesday. It previously had planned to release Blade & Soul Revolution in the first half of this year but its development had been delayed following the enforcement of 52-hour maximum workweek cap in July.